The cover of the Eurofurence 13 conbook. Eurofurence 13, "The Unlucky Thirteen", is a European furry convention that was held from the 5th to 9th of September, 2007 in Europe at the Ringberg Resort Hotel at Suhl, located in the Thuringian Forest of Thuringia, Germany. Upon entering the Ringberg Hotel in Suhl. 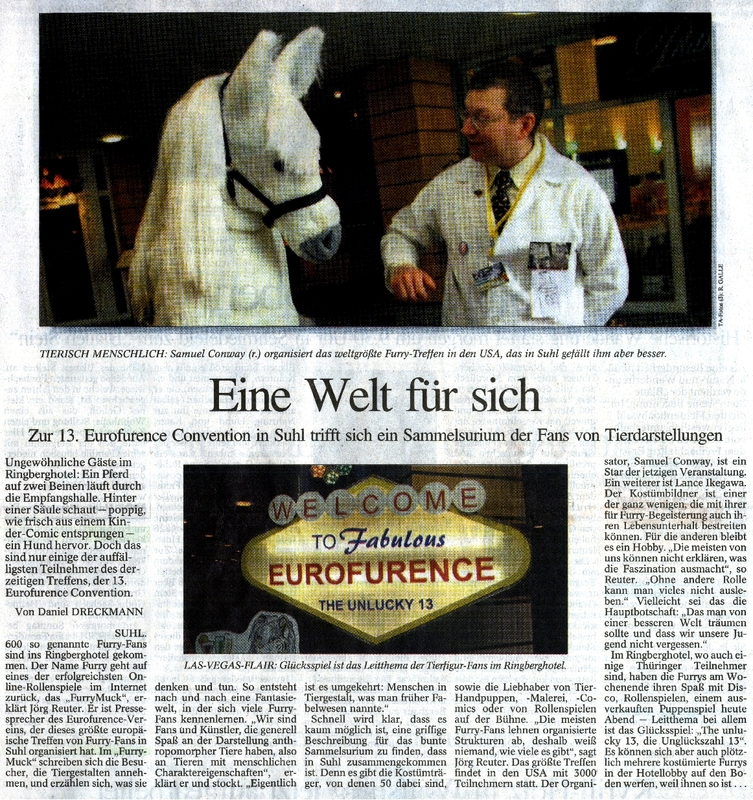 Guests were greeted by a bright flashing sign reading: “Welcome to Eurofurence The Unlucky 13” The style of it was that you would typically associate with Vegas! Leaving no doubt in the mind you were in the right place. Though the theme revolved around casino's and all the glamour that went with it, gambling with real money was discouraged. As of mid-August 2007, 600 people had pre-registered for the convention. The number of attendees was 585. Stage Fever - An Event with a Fursuited Band playing, Video Available at the end of the event, a proposal to another furr was made. Unfortunately, Steve Gallacci was unable to attend, so some of the programming had to be cancelled. 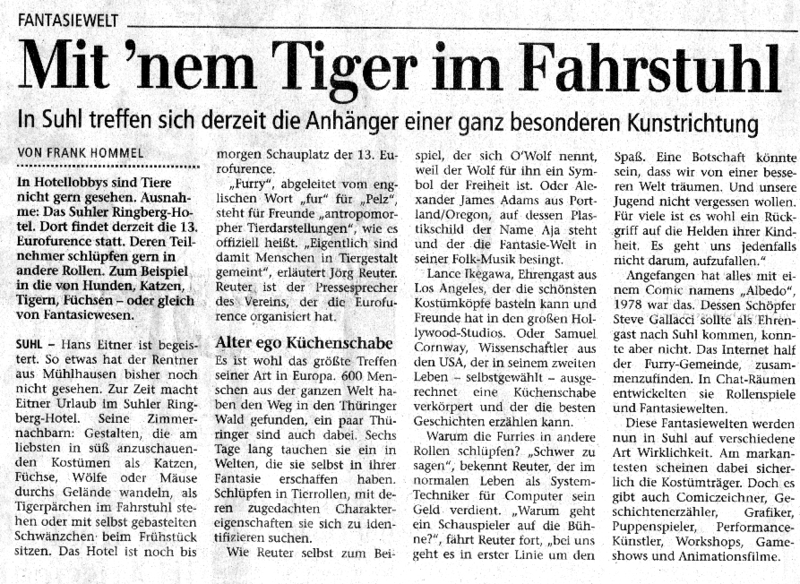 However, he was re-invited as a Guest of Honour for Eurofurence 14.